Little girl, what do you want to be when you grow up? Last Thursday’s writing prompt was I always wanted to be. My freewrite revisits the Open Mic of a few weeks ago, only this time these alternate selves are ones I spent years dreaming of — either as a child, or more recently. I saved this photo a long time ago and now don’t have a source for it, sorry! It’s not a picture of me. Over the years I have pursued some of these and left others, reluctantly, behind in the place where old dreams linger. I will never be a ballerina, and never could have been. 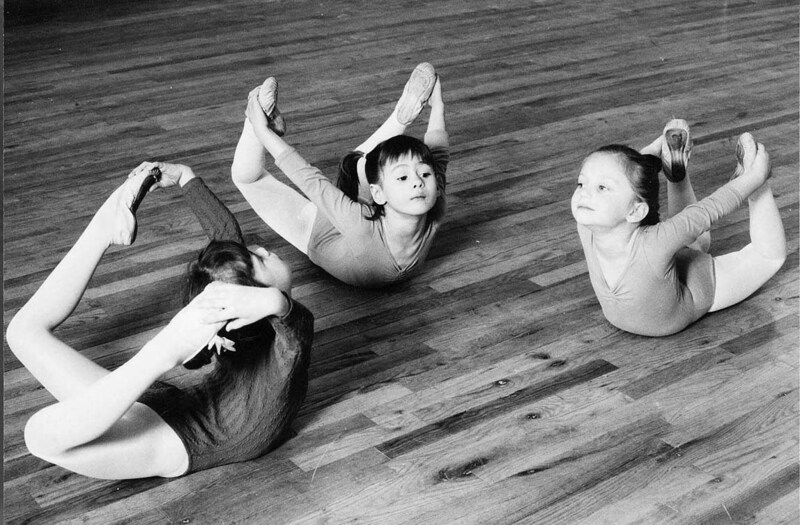 I was skinny once upon a time, and my knees still hyperextend fashionably, but even as a child I could never lie on my stomach and grab my ankles in the exaggerated backbend the teacher called “making baskets.” My arches are too flat, my spine too rigid, my hips too tight. These things run in the family. Ballerina was never in my future, nor gymnast. Other dance forms, while more accessible, still require the same flexibility and spatial awareness. But I can dance for fun, and I do. Singer, too, makes demands of my body that it cannot meet. In middle school I learned that Jennifer Lee took singing lessons, and it dawned on me that singing could be coached, just like the piano I’d played since age four. At twenty-seven I finally signed up for one-on-one lessons with Kathy Kennedy in Berkeley. She taught me to use my head voice without straining until my throat was sore, to breathe between phrases, and she coaxed vibrato out of my chest. In karaoke I forgot all this and shouted into the mic until I rasped. Perhaps someday I’ll write songs that Erik can set to music, and then I’ll record myself singing. Until then, I sing in the car, in the kitchen, and when I’m utterly comfortable with the song — and the company. Broadway star won’t ever happen, but I can pretend. Actor is a trickier one. I’m afraid of looking foolish, always. In elementary school I took the starring role in our third-grade production of Goldilocks (with the aid of a wig), but I think it’s because I was the only one who could have memorized all the lines. Whenever I’ve taken on a script I’ve felt myself too aware of the audience, myself, the gesture I’m supposed to do here and the face I’m supposed to make there. I am too much myself. I’ve watched Whose Line Is It Anyway? and I think improv could be possible; I think well on my feet (at least I think I do), I can do accents, I rhyme quickly and adore wordplay. But there’s still that fear of looking stupid. If I could only get out of my own way, I think there are elements of acting, of improv, of public speaking that I could probably master. If the circumstances are right, unlike many other people, I do not fear the spotlight. As for the others — teacher, author, artist, painter, fashion designer, font designer, graphic novelist — there is yet time. Maybe, maybe. “If the circumstances are right…” Me, too. This is a lovely glimpse into your creative dreams and how and why they’ve morphed since girlhood. So said so much in so little a space. I like the writing. Thank you so much, Ré! 🙂 It was interesting to write these things out and see how the things that draw me have continued to weave through my life. Dance, for instance, started with childhood ballet classes, then a relatively danceless period until middle school when I discovered school dances (as I wrote in that freewrite from a while back), then modern dance classes in college, then more dancelessness until dance fitness classes in the past few years! Thanks for checking out my fonts. 🙂 Some day I will get around to making more of them! It’s so fun! Ballerina, gymnast, singer…that’s what daydreams are for. And stories you write. Give your characters your dreams and that way they come true at least in a little way.